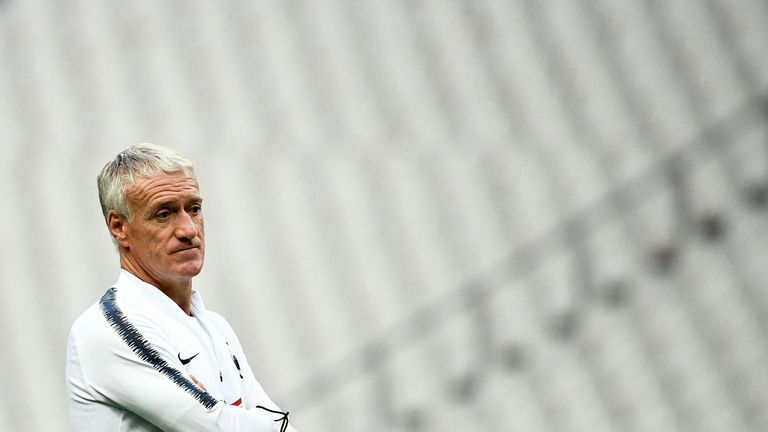 France head coach Didier Deschamps says he was "surprised" after hearing Laurent Koscielny's criticism of him. The Arsenal defender announced his immediate retirement from international football on Sunday and took the opportunity to take a swipe at the World Cup winning manager. Koscielny claims he had been "forgotten about" while the nation's success in Russia caused him "psychological damage". However, Deschamps opted to defend himself on Monday, claiming that Les Bleus had not forgotten about Koscielny. "I was surprised, as was my entire staff," the 50-year-old said. "Because all of us at a certain moment have sent messages of support. "Me myself, I have called him after his injury, I discussed with him, even about the choice of his surgeon. "I invited him to join us in the preparation, to spend some time with us." France return to Nations League action on Tuesday night as they host Germany, who lost 3-0 to the Netherlands last time out.